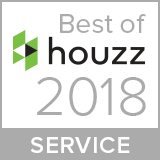 After considering selling their house and meeting with their realtor, the homeowners of this project learned that their house wasn’t worth as much they had hoped, so selling their home and moving into a home with a bigger kitchen and nicer finishes wasn’t a feasible option. 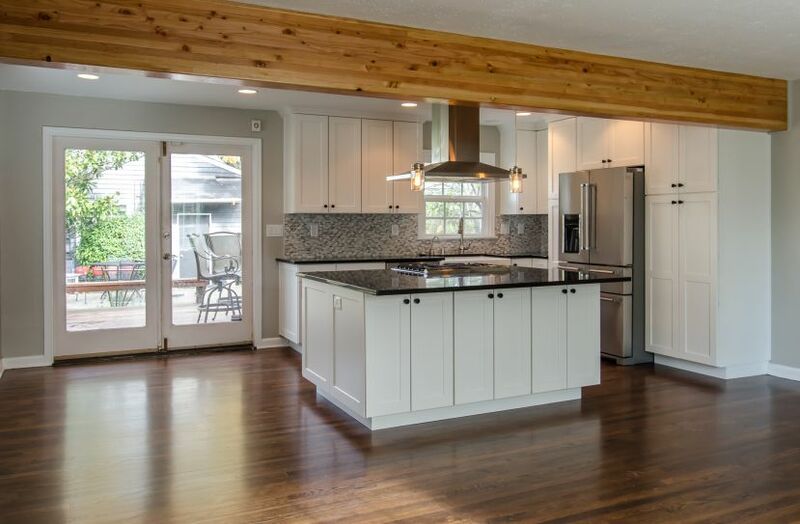 As an alternative option, they were considering remodeling their Tacoma home to make it more comfortable, give it an open concept feel, and modernize their 1920’s home, but had no idea where to start. 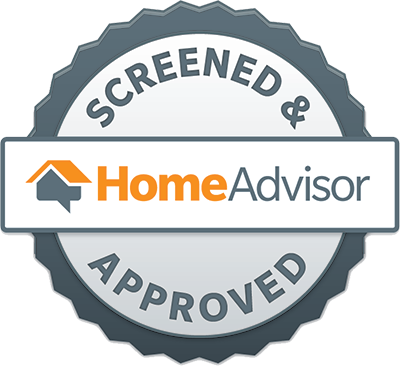 After doing some research on HomeAdvisor.com they found New Leaf. 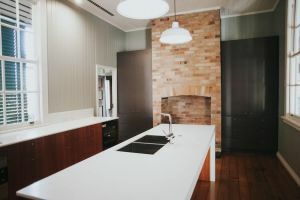 During the initial consultation, the customers had a very vague idea of what they wanted (bigger kitchen, new floors, nicer bathroom), but did not have a budget or design concept. The first priority became establishing a budget. 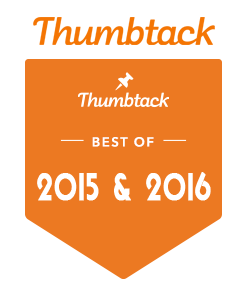 Without a budget, any remodel project is almost doomed before it even starts. Budgets not only keep projects on track financially, but help narrow the focus during design and product selection. 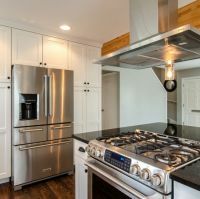 Trying to remodel a home is very similar to trying to purchase a new car, in both scenarios without a price range you are more than likely to spend endless amounts of time looking and items that are either beyond your budget, or don’t have the features you want which can only lead to frustration. After establishing a budget, we shifted gears and focused on creating a design for the home renovation. 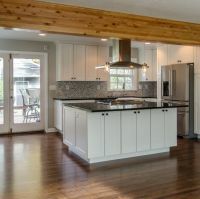 We quickly determined that in order to create a larger kitchen and give their main floor a more open feel we would need to remove a load bearing wall allowing us to add an island to the kitchen. Because it is very difficult for customers to visualize design concepts, New Leaf uses advanced design software that provides detailed renderings of what the area would look like. This allows us to provide the highest levels of service because the renderings are not only 3D and panoramic providing 360 degree viewpoints, but they are also extremely detailed, showing exactly which cabinets will be where, appliance locations, and even uses the cabinet door style and color from our cabinet selections. 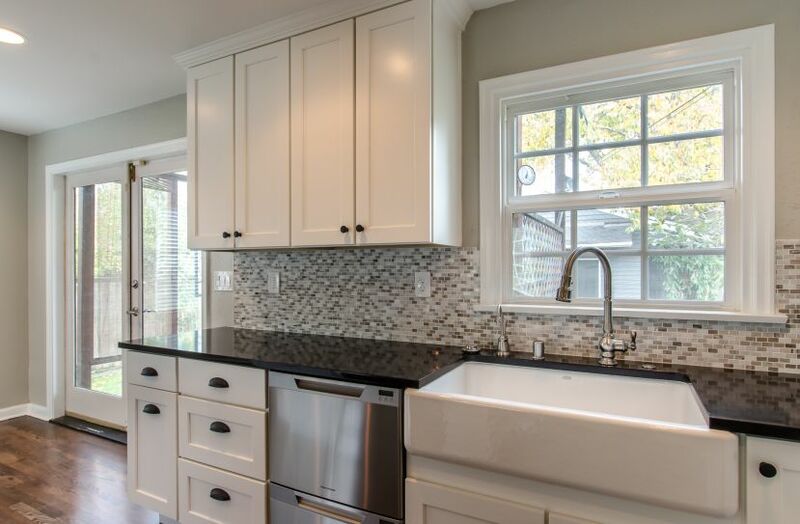 This also provides customers with a great tool to really think about the functionality and flow of their kitchen or home remodel before it starts. 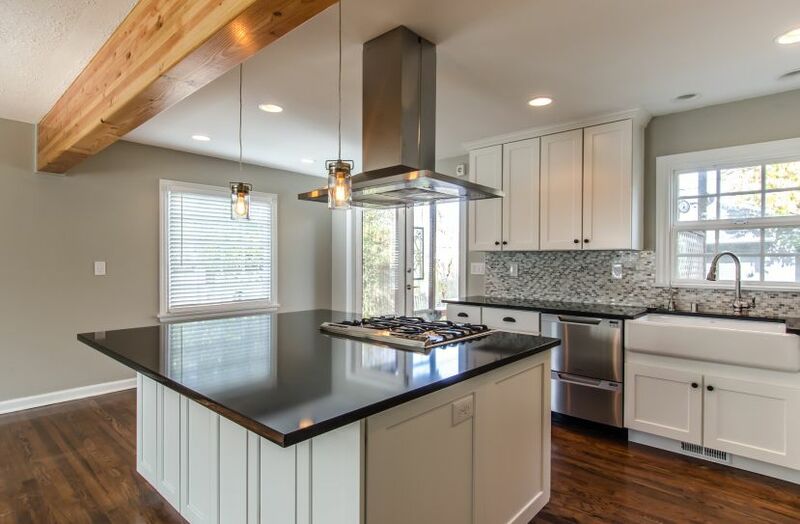 The finished results of the kitchen and home remodel were absolutely beautiful. 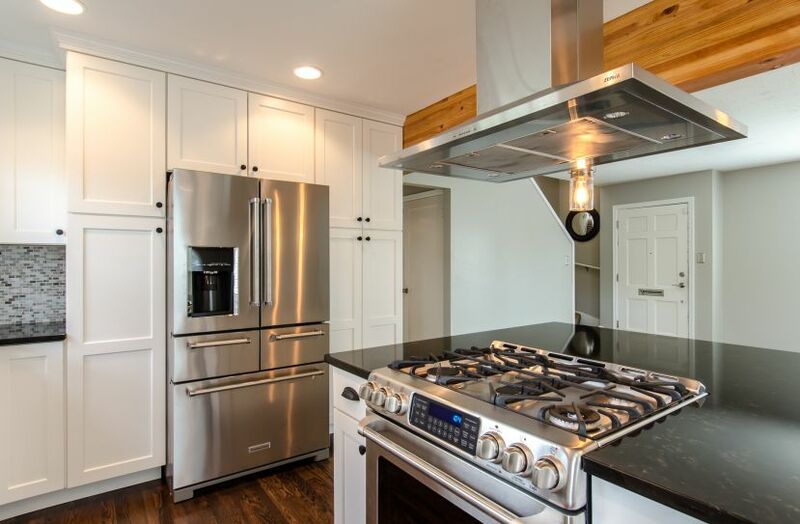 To create a seamless space, we removed the mismatched flooring in the kitchen and laced in white and red oak to match the rest of the original hardwood floors that flowed through the entire bottom floor. We then refinished the entire main floor taking it from the dated orange to a modern ebony java. In order to eliminate the load bearing wall and open up the space, we installed an engineered glulam beam which we sanded and lacquered to give a finished look rather than hiding it behind boring drywall. 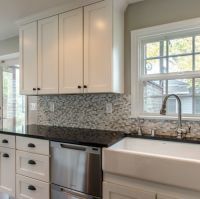 We used a white painted maple cabinets made to fit their kitchen and lifestyle to the fullest. A pull out spice rack with adjustable shelves was placed on the island next to the stove, heavy duty roll out shelves where installed on all the island cabinets for storage, we built a custom pull out cabinet with a built in trash can to keep the trash out of site, customized the layout of the pantry, again incorporating roll out shelves, added a tray divider cabinet above the fridge and even added electrical outlets to the inside of the tall cabinets so that items like the toaster could be kept out of site increasing counter space. As with all of the cabinets at New Leaf, soft close doors and drawers were a standard feature, as were the full extension drawers. 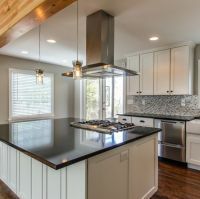 The customer wanted a maintenance free, stain resistant and durable countertop so we used 2 slabs of Java Noir 3 centimeter quartz from Pental Quartz. 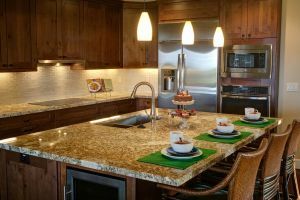 This slab countertop choice gave the kitchen a rich look that contrasted the white cabinets and tied the colors into the floor. We topped off the counters with a full height marble backsplash, and used the same marble tiles in a larger size on the fireplace hearth. In the bathroom we kept the layout basically the same but switched from a vanity cabinet to a pedestal sink and inwall medicine cabinet to make the bathroom feel larger. We added a chair rail to give the room a two tone paint job and add character. We replaced the vinyl floor with timeless hexagon ceramic tiles, and updated the shower surround with a new Kohler Choreograph shower system. We also painted the entire downstairs to complete the renovation and give the home a much newer feel.